A new nucleation theory is presented. This theory is based on the assumption that a critical nucleus of the new phase can be regarded as an activated complex that passes through the top of the energy barrier. 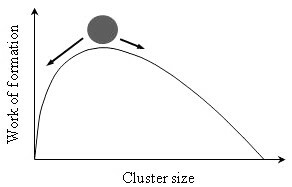 In the framework of the proposed approach, an equation in a general form for the nucleation rate is obtained. This equation is used to obtain the calculated data in the case of homogeneous nucleation at the vapor-liquid, liquid-vapor, and liquid-solid phase transitions. A comparison of the calculated data with the available experimental data as well as with the calculated data obtained in the framework of the classical nucleation theory is carried out. 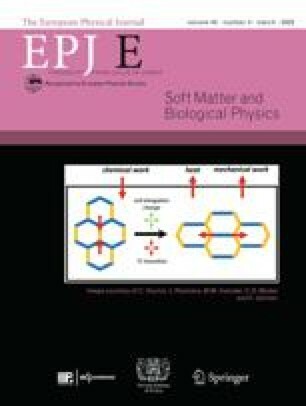 From a comparison between the calculated data obtained in the framework of the presented theory and the experimental data for the supercooled water-ice phase transition, the dependence on temperature of the surface tension coefficient between supercooled water and ice is determined.